Why use a personal stylist you ask? – People may assume that personal stylist come from the belief that the sad but true reality is that people really do judge a book by its cover and that people may unfortunately believe if one is disheveled in appearance most likely will not be taken as seriously as one who is well presented. In matters of employment interviews this may be true but at Styled By Elizabeth over the years, we have come to realise that it is much deeper than that. 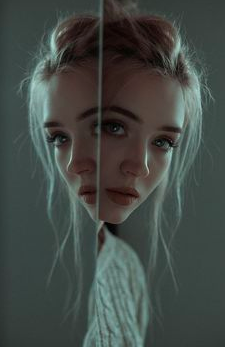 We have heard repeatedly from many clients that they have lost a connection between how they feel and what they see when they look into the mirror. The reflection they once saw no longer reflects who they are. We aren’t talking about their role as mother, father, daughter, son, wife or husband or even the job they do. We are talking about the essence of who they are. This disconnection often plays havoc on our self beliefs and aspirations. I clients often talk about lack of energy, purpose, loss of confidence and most importantly a loss of who they once were. It seem no matter who we speak with, no matter where they live or what they do, people are living much faster lives and are confronted with an overload of daily decision making. Many people are not even aware there is such a thing as ‘Decision Fatigue’. This study has shown that people have developed a reduced ability to make trade-offs – where either of two choices have positive and negative elements and it is too often their own well being that falls short of being noticed, catered to and cared for in order to feel reward and relief. On the surface, to some, this may seem a superficial approach, and yes, the clothes themselves may lead some to see only that. But, it is all about how our client feels. What is awaken, and what comes from that realisation that really, really makes us feel great about what we do. We also do implement simple methods so that there is no complex decision making required after our consult, no trade-off or decision avoidance. Instead we create a positive connection with oneself . So that our clients not only look and feel fabulous but have a new found energy, positivity and a wonderful new relationship with themselves because they now feel more connected with what they see. We do this respectfully and carefully catering a methodology to each clients lifestyle needs and customise personal unique their style so that it genuinely reflects the essence of who they are and how they feel and that reflection is now wonderfully clear and united. Most importantly, it’s clear to them.